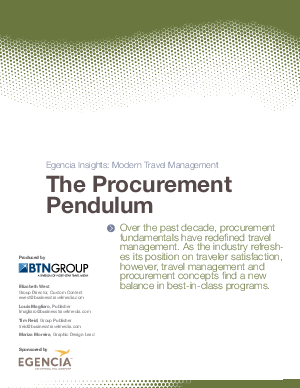 Over the past decade, procurement fundamentals have redefined travel management. As the industry refreshes its position on traveler satisfaction, however, travel management and procurement concepts find a new balance in best-in-class programs. Read how Rudy Lim, Director of Global Procurement for Colliers International, and Arvind Kumar, CPO at Capgemini, think about Procurement and Travel Management working together, instead of in opposition.